It's the start of a new year, the perfect time to set yourself a cycling challenge for the months ahead. While the Spring Classics and summer sportives like the Marmotte and Etape du Tour are rightly popular, what if you fancy tackling something bigger this year? Ultracycling events - multi-day bike rides, often unsupported and requiring riders to navigate some or all of the route themselves - are booming in popularity, and offer a whole new level of challenge to the jaded sportiviste. New for 2019, the Trans Alba Race is a 1065-mile (1714km) self-supported cycling ride around Scotland. Riders will follow a set GPX route, but are responsible for all their own navigation and logistics along the way. And what a route it promises to be, starting in Edinburgh and striking out for the Highlands and islands. Ferry crossings to Mull and Skye and a chance to tackle the infamous Bealach na Ba climb are among the highlights, before taking in the Trossachs and Scottish Borders on the final stretch home to Edinburgh. Entry is open now, priced £235. 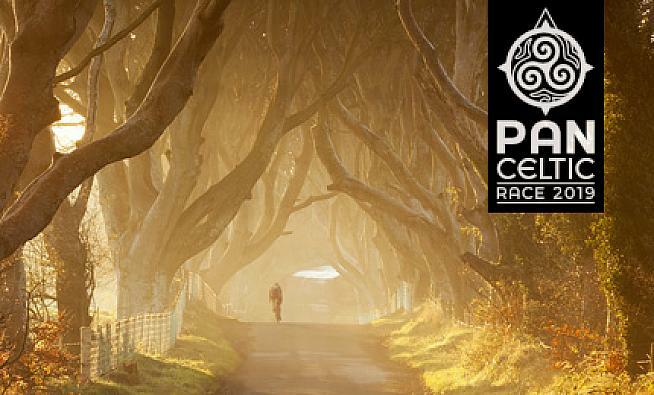 Billed as "a 1440 mile, 86,371 ft climb, self-supported cycling adventure, journeying through the Celtic Nations of Scotland, Ireland and Wales", the new Pan Celtic Race looks like a wonderfully conceived domestic answer to established classics like the Transcontinental Race and the Indian Pacific Wheel Race. Welcoming solo riders and pairs to explore a 2317km parcours, this inaugural event is part one of a planned five part series with future editions visiting Brittany, Cornwall and the Isle of Man. If you're pushed for time, a shorter route of a mere 824 miles (1326km) is also on offer which should see you home in time for tea... or at least, before August. 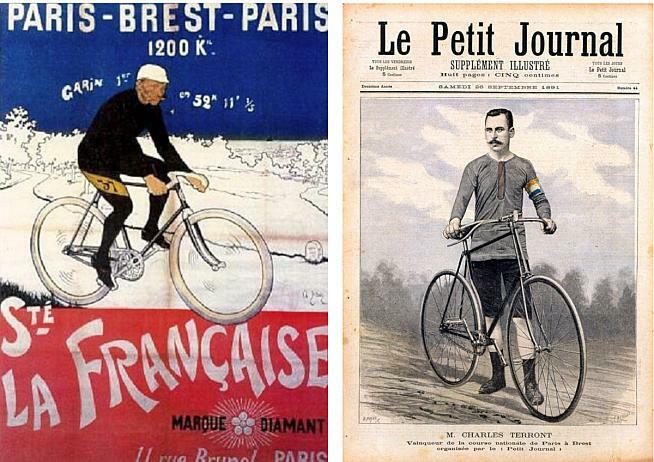 From new events to perhaps the oldest of them all: the Paris-Brest-Paris (PBP) Randonnée has been around since 1891, and remains an iconic challenge on the audax scene. Arguably the template and inspiration for the modern breed of ultracycling races, PBP is only held every four years, with entry restricted to those who complete a full set of qualifying brevets - rides of 200km, 300km, 400km and 600km. August 2019 will once again see a battle-hardened field of 6000 long-distance specialists tackle the 1200km course from Rambouillet, on the outskirts of Paris, to Brest and back again - all within the 90 hour time limit. You can still qualify for 2019, it's just a matter of cracking out a few epic rides by 30 June. And of course, it's never too late to get into audax. Check out the Audax UK website, aukweb.net, for upcoming event details - and get your training started for PBP 2023. 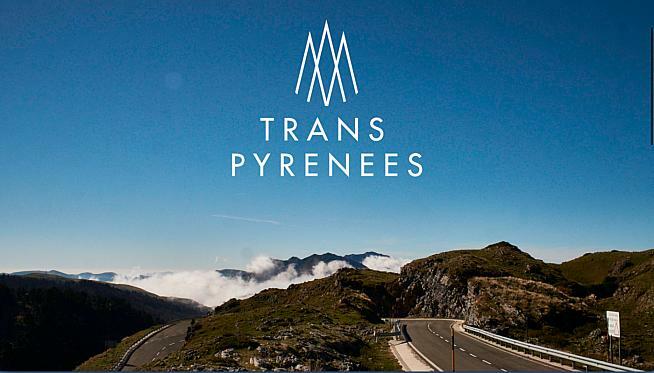 New from Lost Dot, the team behind the venerable Transcontinental Race (which we haven't included in this list, as 2019 entries are closed), the Trans Pyrenees Race may be shorter in distance than the TCR but it packs in a whopping amount of climbing over some of the Pyrenees' most celebrated climbs. Starting in the surf hotspot of Biarritz, France, riders will plot their own course via set checkpoints through 1500km of some of the most remote and spectacular scenery in the Pyrenees - from the Bay of Biscay to the Balearic Sea and back again. Conceived by ultracycling legend Mike Hall back back in 2016, this year's inaugural edition looks set to deliver Mike's vision of an epic challenge that will reward the most adventurous. Applications open on 17th January. Even roadies can't deny there's fun to be had taking your bike off the beaten track. 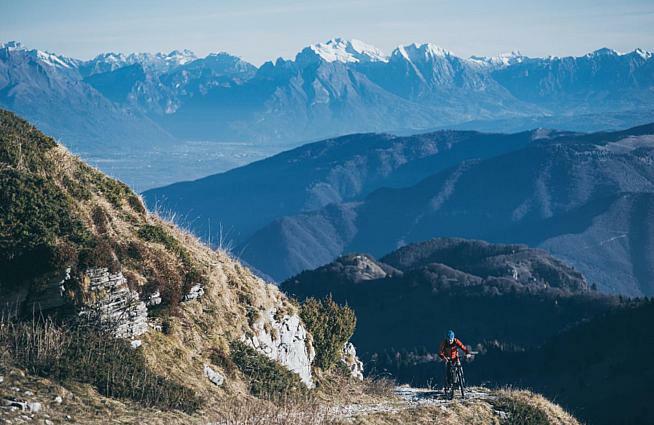 And if you're handy on an MTB or cyclocross bike, there's no better way to test your skills than one of Italy's many off-road, multi-day bike adventures. Typically following a GPX route over around 500km on a mix of paved and off-road terrain, these sociable events have a popular following. While most riders will be on mountain bikes with sleeping kit strapped to seat packs and bar bags, the trails are well suited to the new breed of gravel/adventure bikes. With a parcours that winds through Tuscany's rolling hills and historical cities like Siena and Florence, the Tuscany Trail is the best known of Italy's bikepacking races. But there are plenty of other, similar "Trails", less well known outside of Italy but equally stunning. Last year, we got a chance to ride the Veneto Trail. Starting from the medieval walled town of Citadella, northwest of Venice, we discovered a spectacular route with everything from epic gravel climbs, lush pasture singletrack and picturesque mountain villages on the fringes of the Dolomites. Even a ride-ending tumble couldn't detract from the experience (ok, it did a bit - but I'll be back!). The events seem to be subsidised by local tourist boards, meaning entry is a relative bargain, even allowing for the minimal support en route. Entry for the Veneto Trail is priced just €40, while on the Tuscany Trail, €79 gets you a starting place, rider pack, basic accommodation pre- and post-ride, and a welcome meal. We highly recommend checking these events out for yourself. You don't have to leave the UK for an epic cycling challemge: Deloitte Ride Across Britain tackles the classic British end-to-end ride from Land's End to John o'Groats (LEJOG). You'll ride 980 miles in nine days, from the rugged coastline of Cornwall, across the moorlands and valleys of the west country and on to the majestic Scottish highlands. Choose from camping or LEJOG is an epic adventure that every long-distance cyclist aspires to complete at least once. This fully guided tour, supported all the way by an experienced team, ensures you the best chance of ticking off this bucket list challenge. We're big fans of the Isle of Wight Randonnée here at Sportive.com, but for a lap of an altogether bigger island check out the WOW Cyclothon: a 1,358km relay race around Iceland's famous Ring Road. Open to solo cyclists or teams of up to 10 riders, the Cyclothon sees entrants circumnavigate Iceland's dramatic coastline (including some gravel sections) to be first across the line within the 72 hour time limit. Support vehicles are allowed, and team members can rest in the van so long as one rider is out on the road. Entries are open until 31 May with discounts available on flights, while Reykjavik offers plenty of scope for post-ride R&R - including a restorative dip in Iceland's sulphurous geothermal springs. We're slipping this one in among all the epic; it's not so much a bikepacking endurance fest as a leisurely holiday, but with the chance to explore the ancient roads and culture of Morocco this five-day trip with Sportive Breaks is an adventure in itself. The trip packs in four days of cycling, with some magnificent scenery and two climbs of over 2000m in the Atlas Mountains. 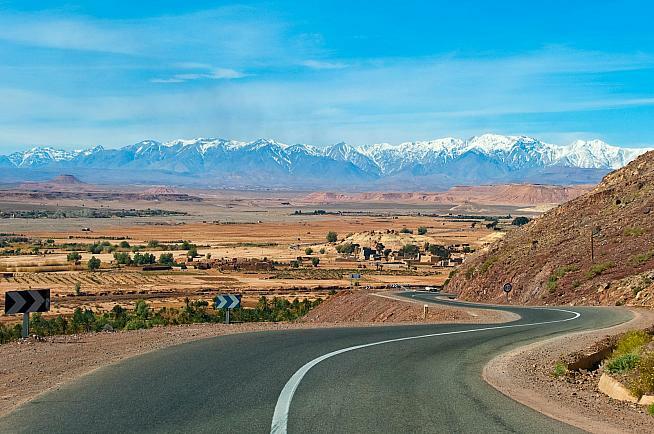 Off the bike, you can haggle your way through the souks of Marrakesh, discover the stunning hill town of Ouarzazate, and fill your boots with tagine and sweet mint tea. Prices for the five night tour start at £599, and we say treat yourself - Morrocco is a beautiful country, and a great cycling destination for those looking to get away from the crowds on Mallorca, Gran Canaria et al. 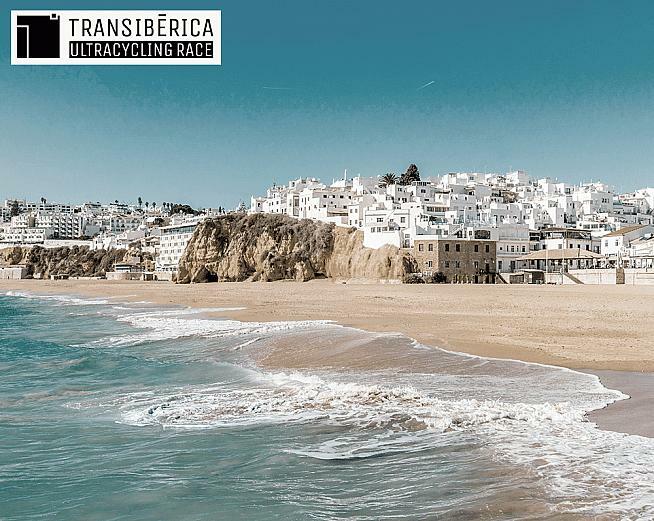 Fans of join-the-dots will relish the Transibérica, an epic bikepacking race that sets riders the challenge of navigating around the Iberian peninsula - Spain, Andorra and Portugal - via a set of strategically placed checkpoints. The race starts in Bilbao and while the course is up to riders to determine, the placing of the checkpoints means you can expect a ride of about 3,500km with over 50,000m of climbing. Along the way, you'll encounter some of the most beautiful, diverse and challenging villages and mountain passes of the Iberian Peninsula. The second edition of the Transibérica starts on 1 September 2019 and entries are open until 30 June. Don't miss out on what looks set to become an instant classic. 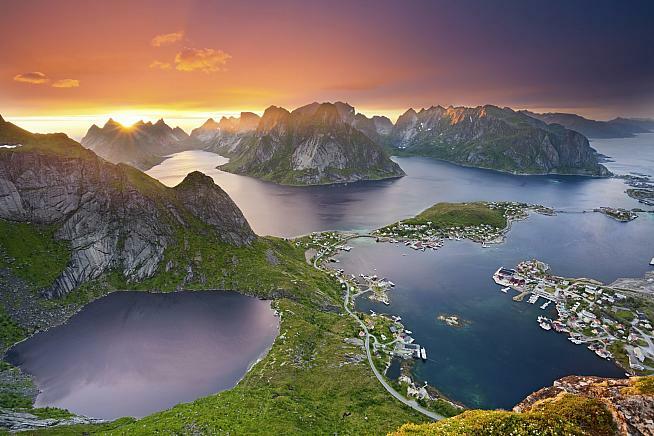 Sure, there are probably easier ways to see the northern lights - but cycling 4300km to the furthest tip of Norway has got to be the most... is impressive the word? 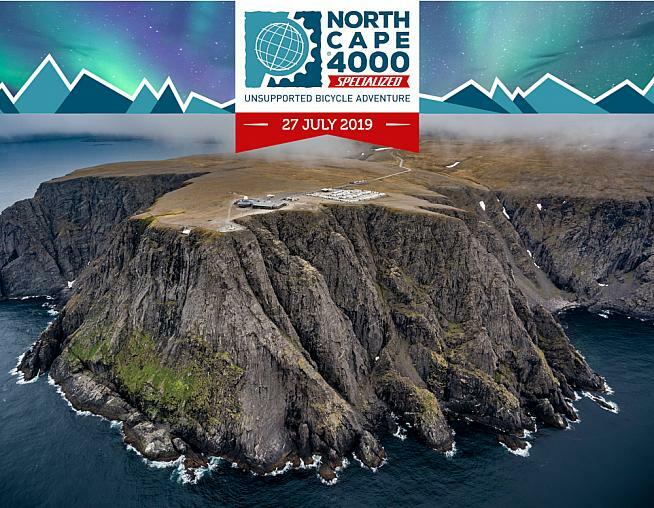 Impressive or crazy, that's the deal on this year's NorthCape4000: a bike race that starts with ice cream in Turin and ends within a bike throw of icebergs in Nordkapp, continental Europe's most northerly point. There's no time limit, but riders must pass through four checkpoints along a set route. Along the way, you'll visit some of Europe's most iconic cycling terrain - from Liege and Bastogne in the Ardennes, to the majestic Bernard Pass (2473m) in the Alps.